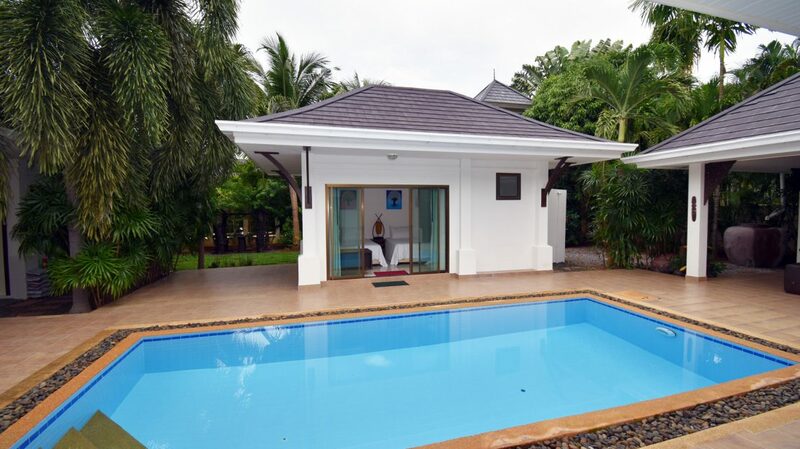 This beautiful Bali style Hua Hin pool villa for sale is located in the much desirable Heights 2 development in south Hua Hin, Thailand. 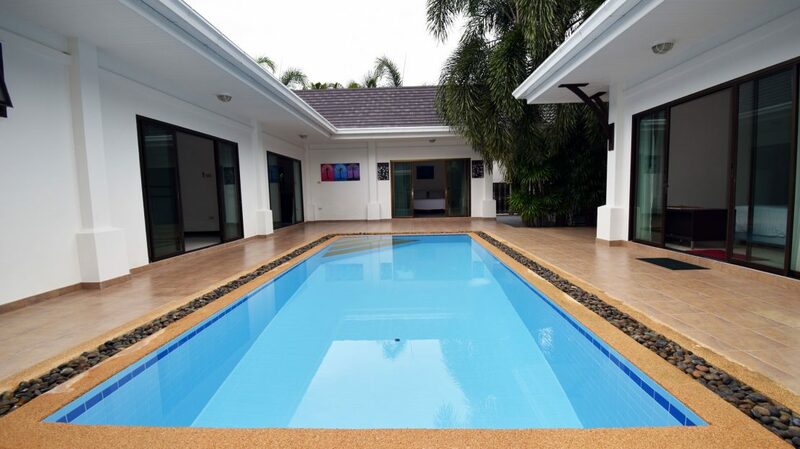 This lovely 3 bedroom, 3 bathroom pool home with large living room has a fully equipped modern kitchen with all rooms facing the pool and porch area for a beautiful view and cool breeze. 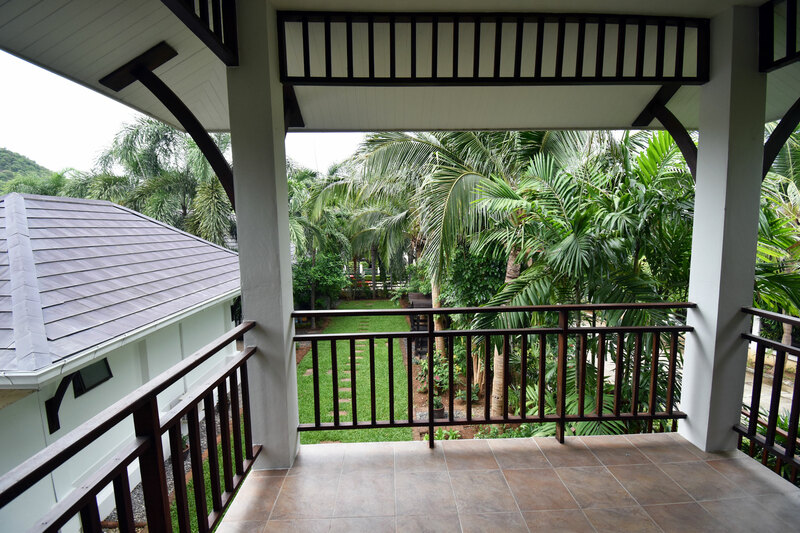 The home is fully walled, gated and professionally landscaped with 2 floor observation tower for viewing the mountains, pool and yard. 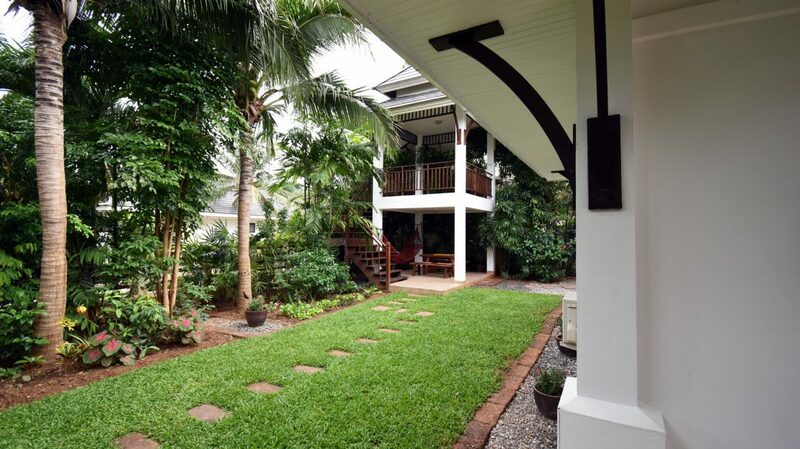 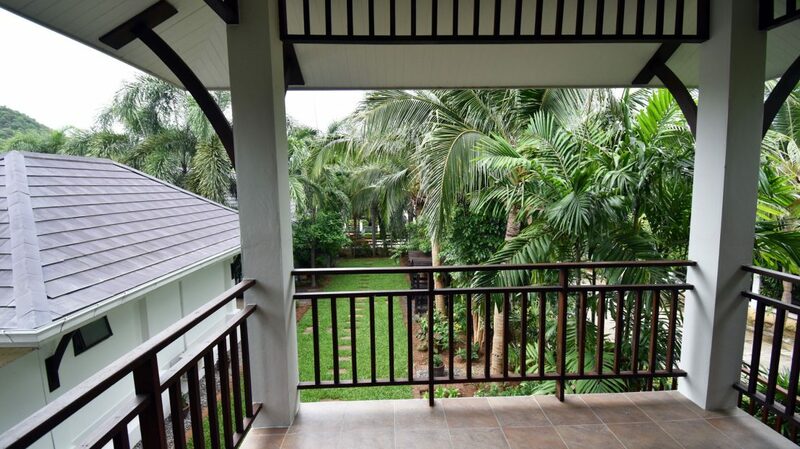 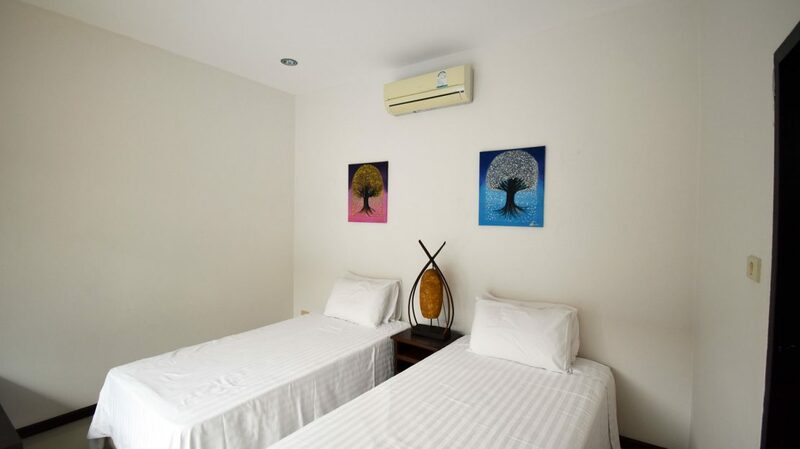 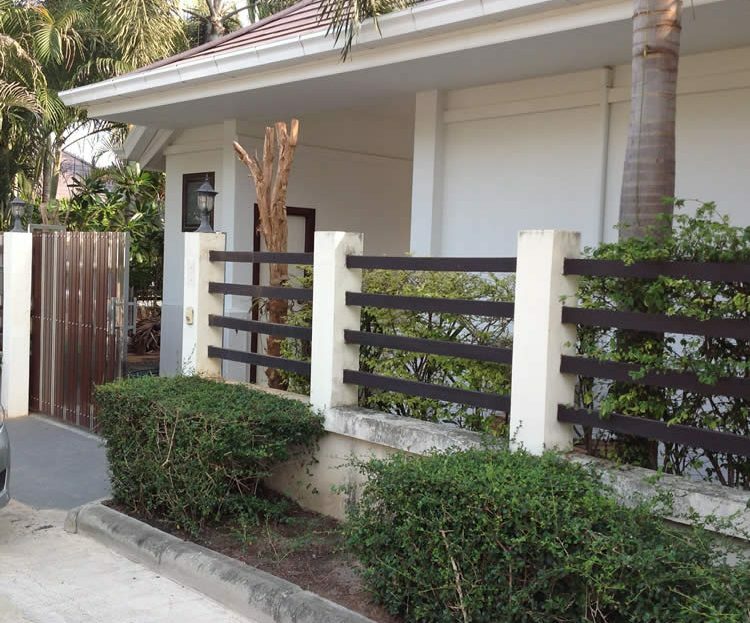 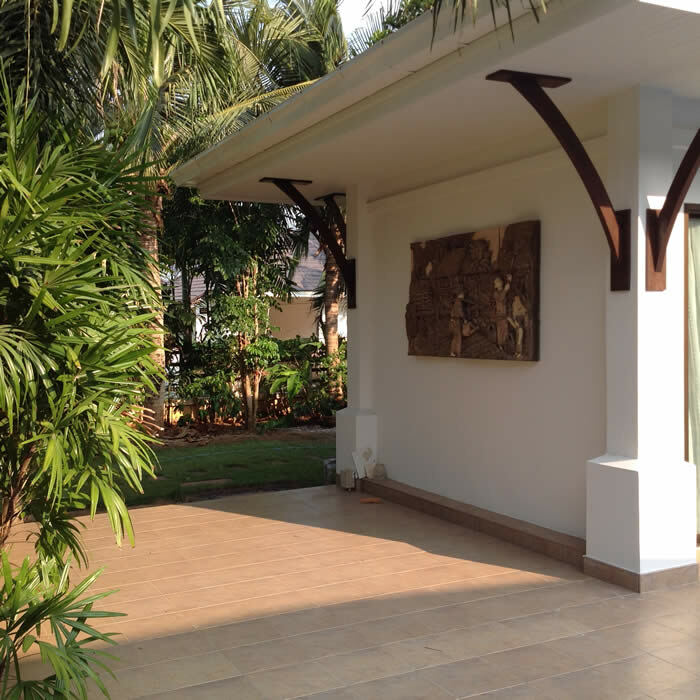 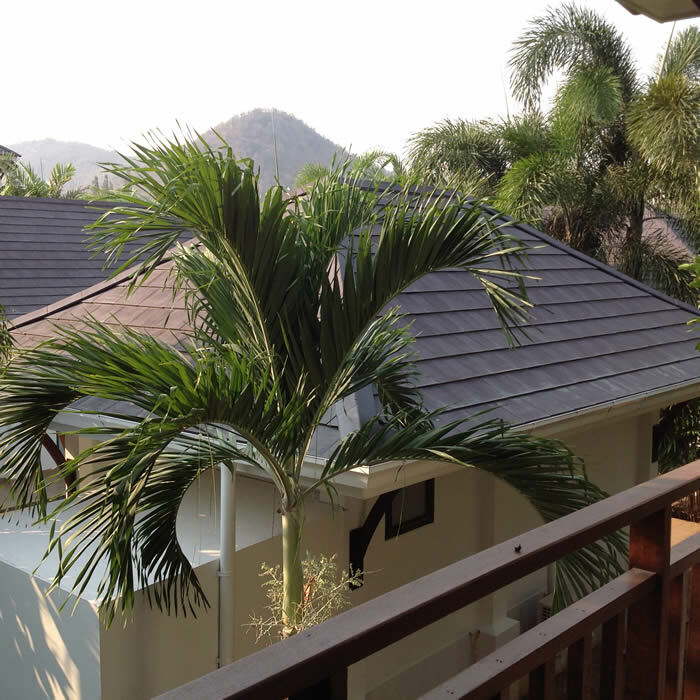 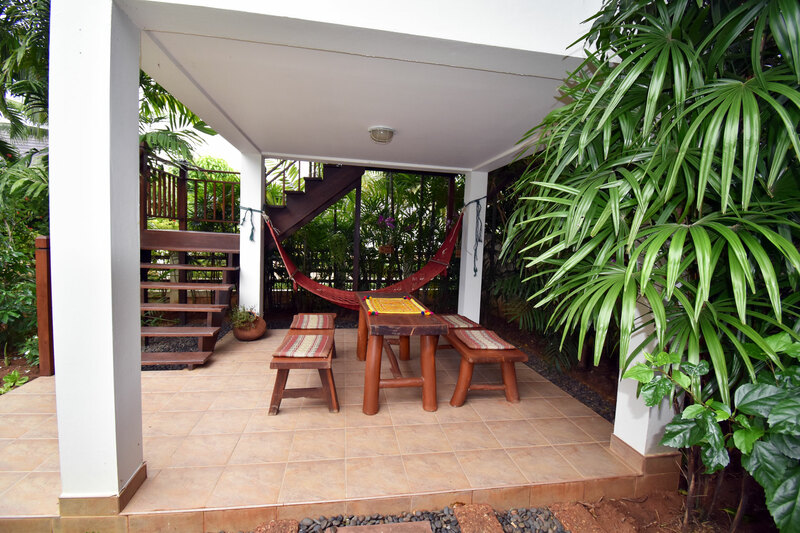 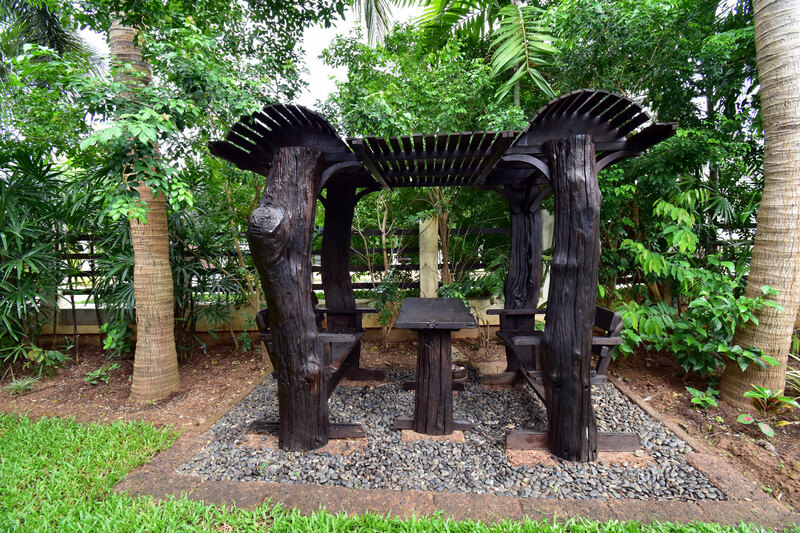 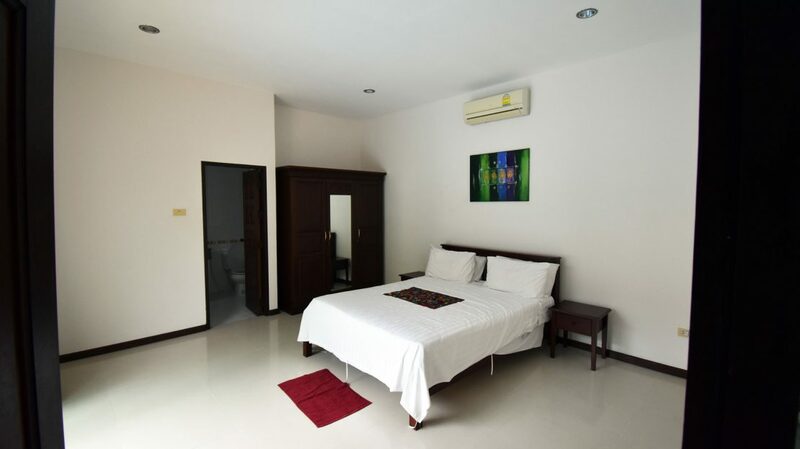 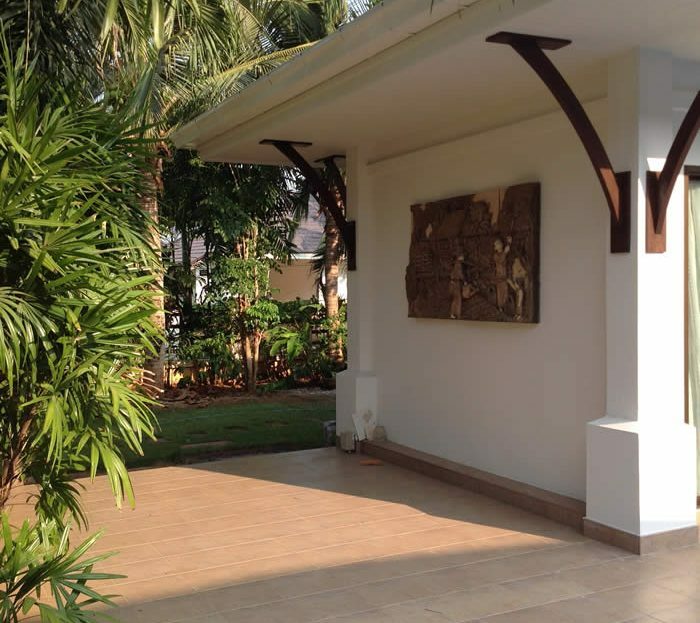 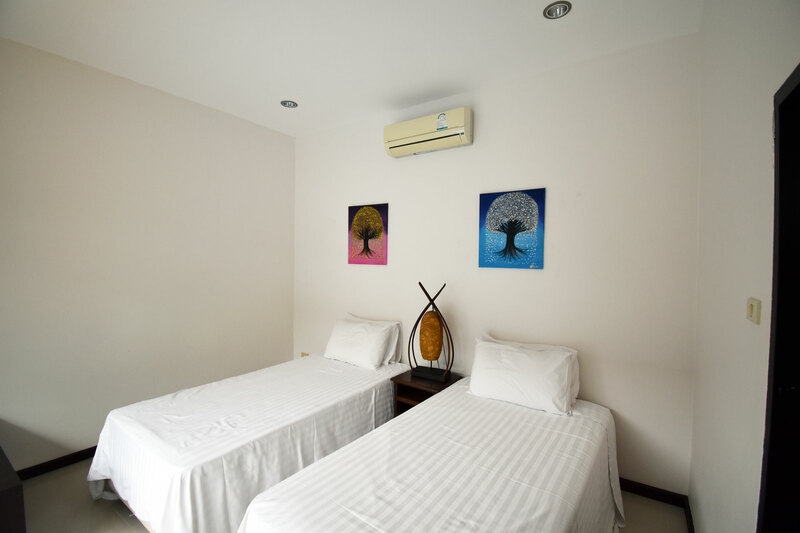 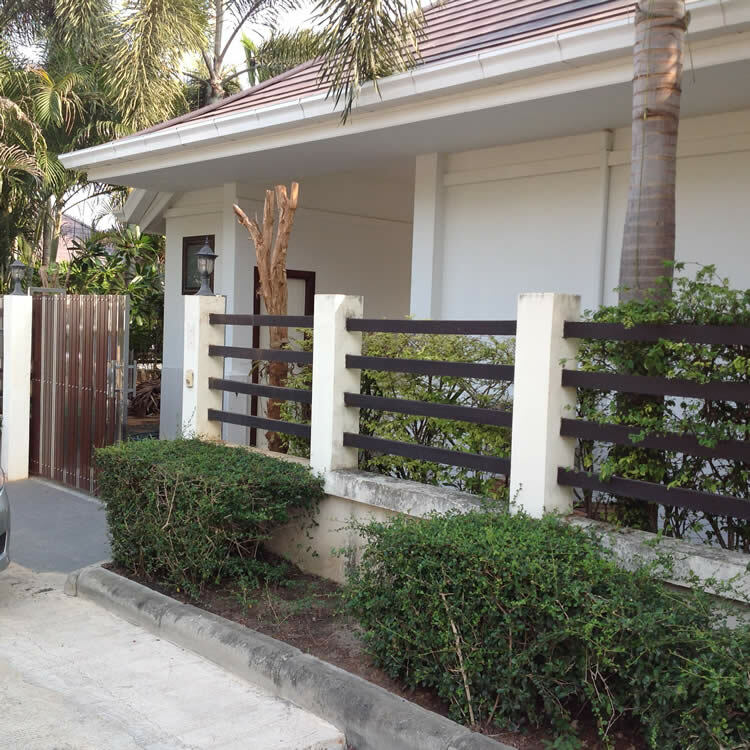 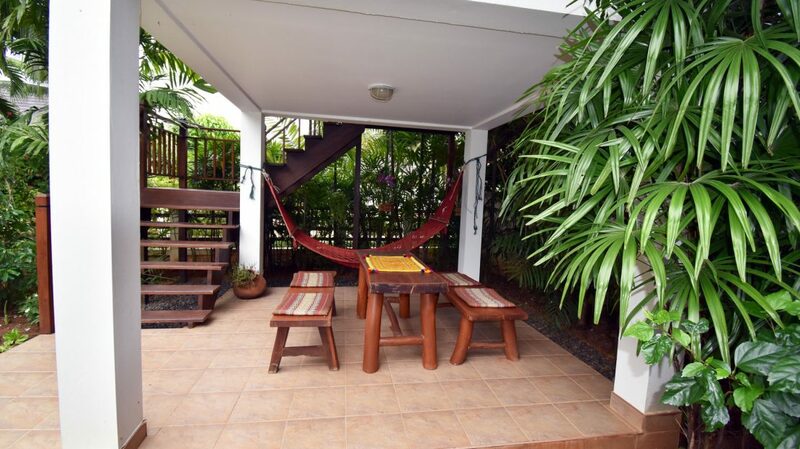 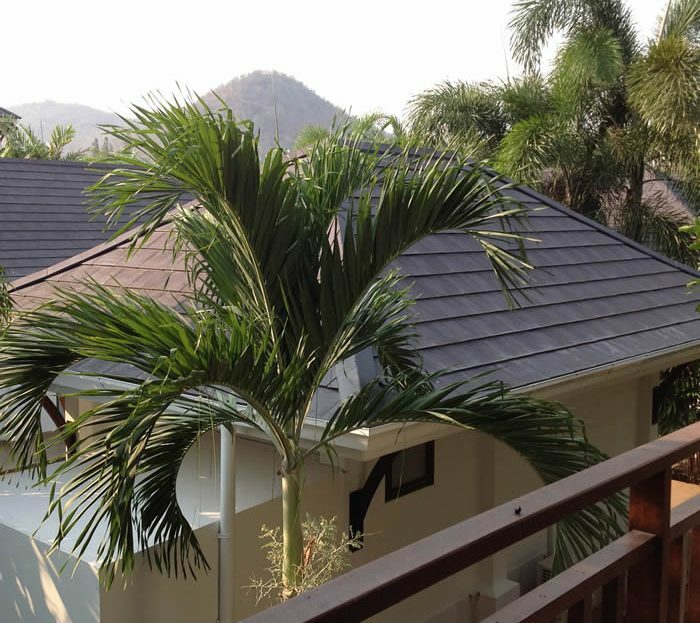 The Heights II is a gated and secure community with 24 hour guards and professionally maintained.Perfect for vacation rental or comfortable year round living in Hua Hin. 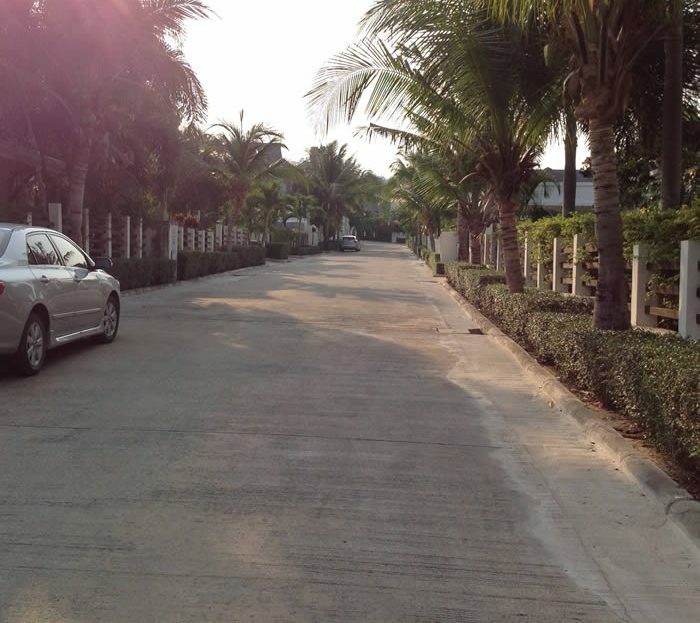 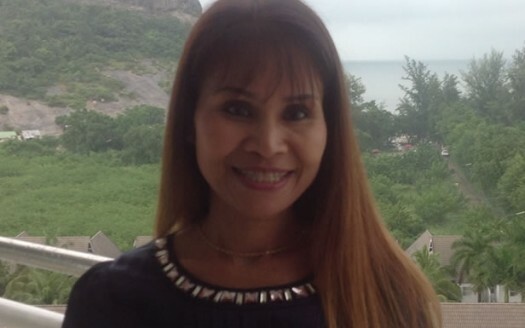 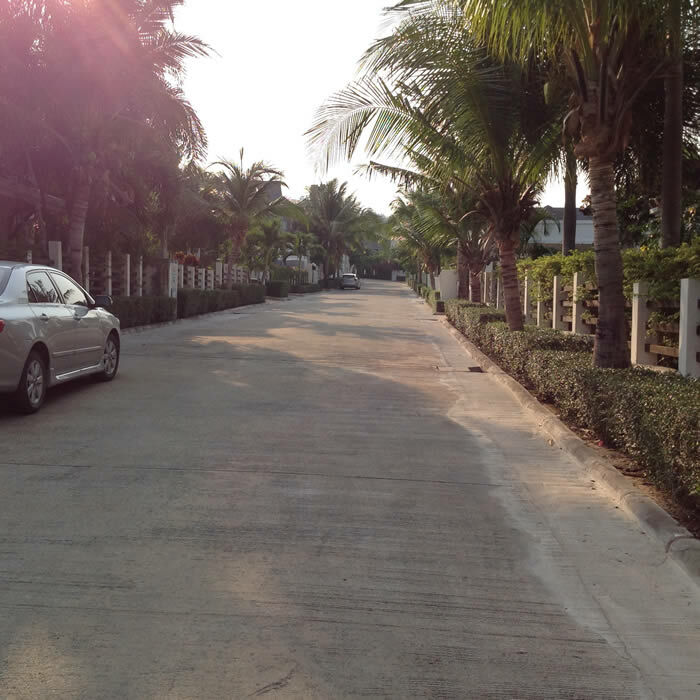 The Hua Hin Heights 2 development is conveniently located near many restaurants, beaches and grocery stores. 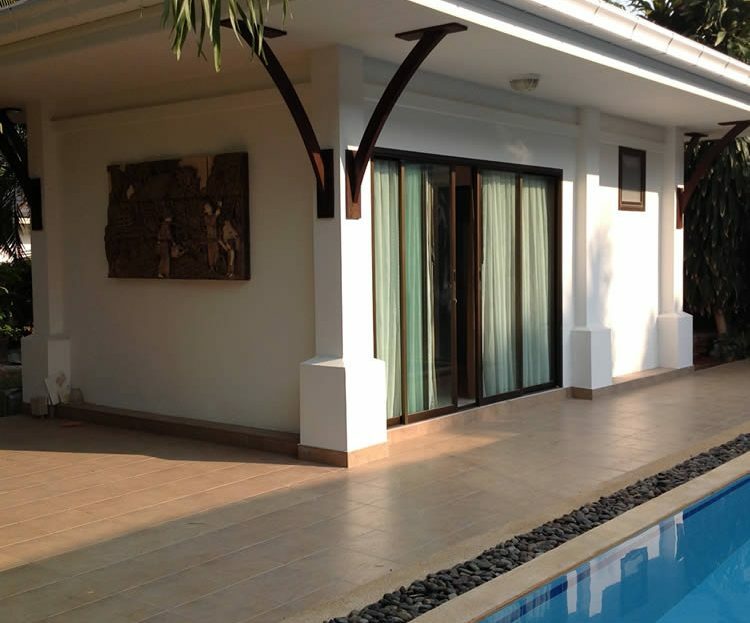 The Sanae Beach Club is just minutes away at the beautiful Sai Noi beach in Khao Tao and is fabulous for spending relaxing days at the sea side. 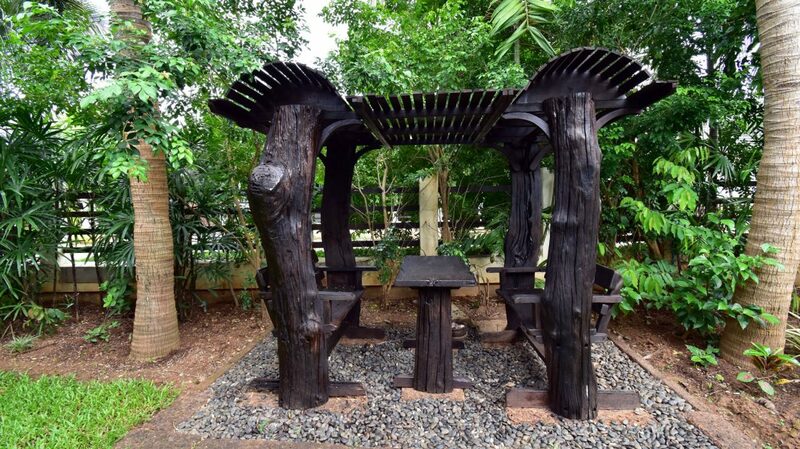 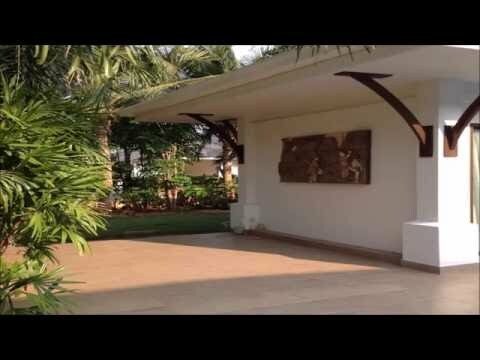 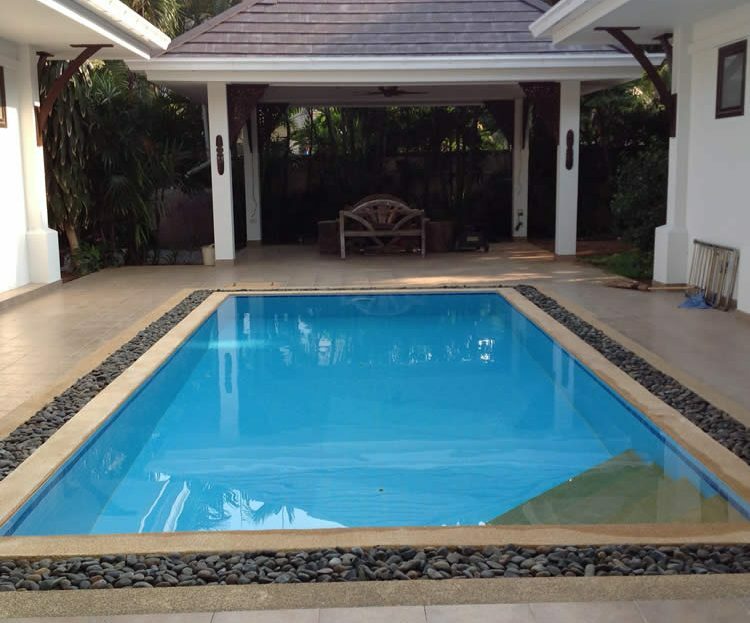 They have a full restaurant, bar, pool and pamper the guests for an enjoyable visit. 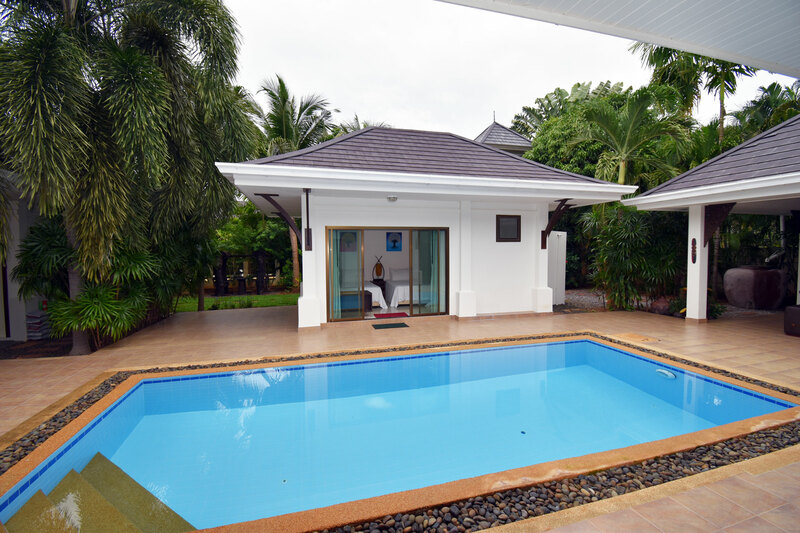 Also this pool home is only about 11 kilometers from Hua Hin city center and the shopping malls with bus and van pickup nearby. 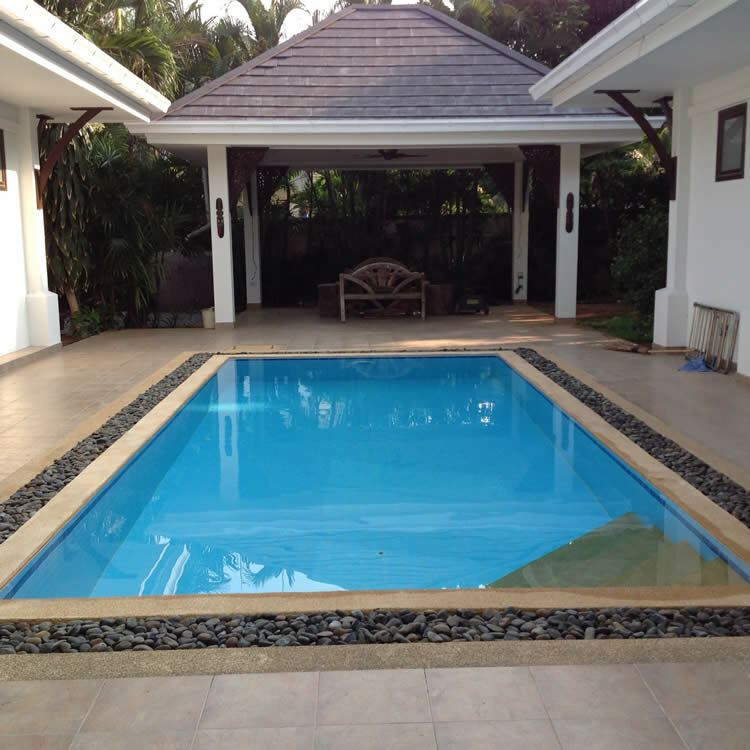 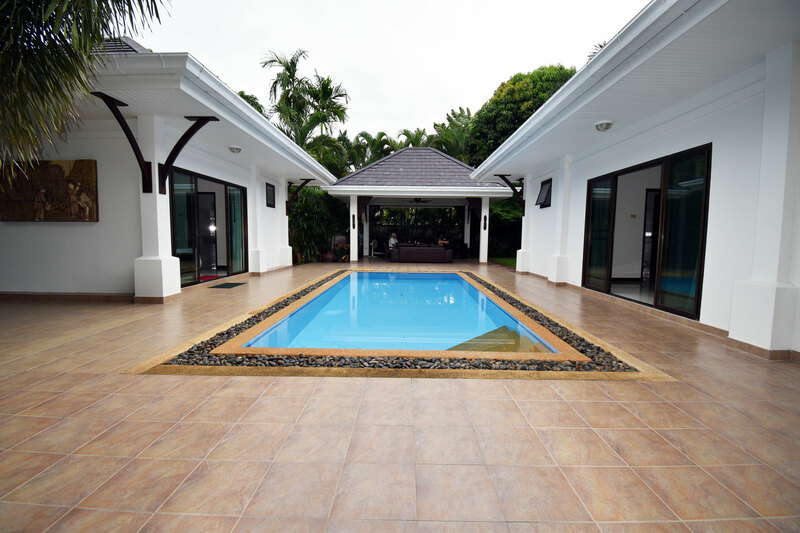 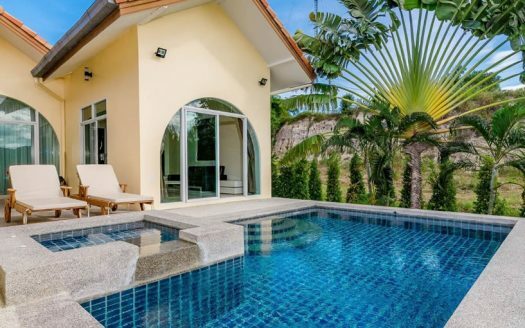 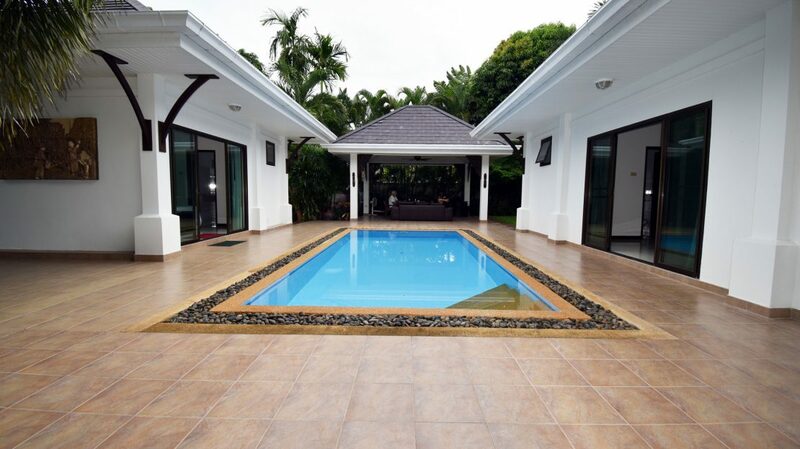 Priced at Only 7.9 million Thai baht for a quick sale, this Hua Hin pool villa for sale is worth a look and will make someone a great permanent home, vacation home or home for rental income and investment. 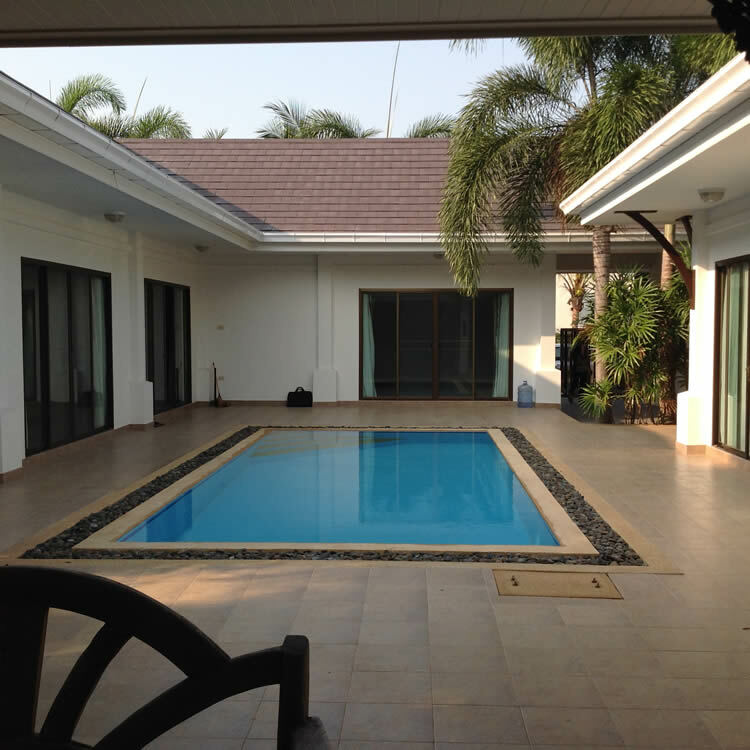 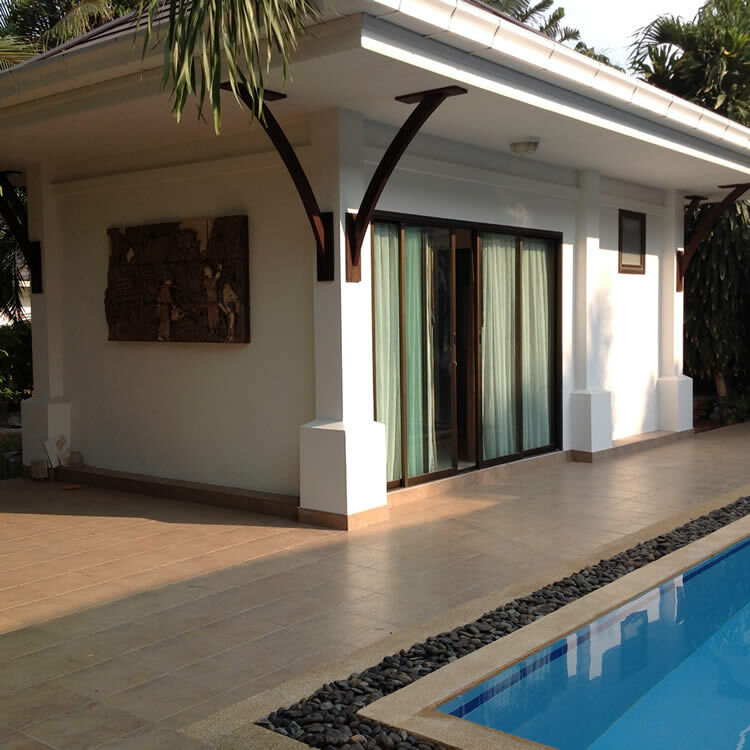 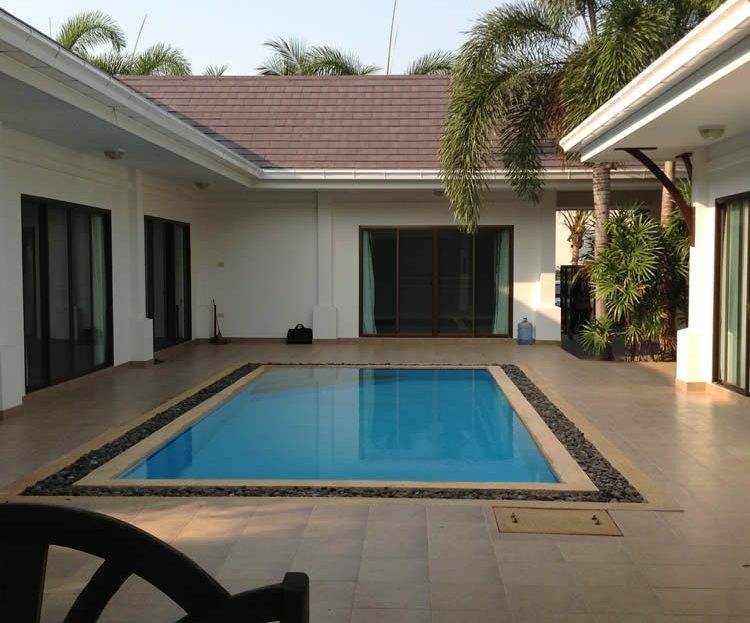 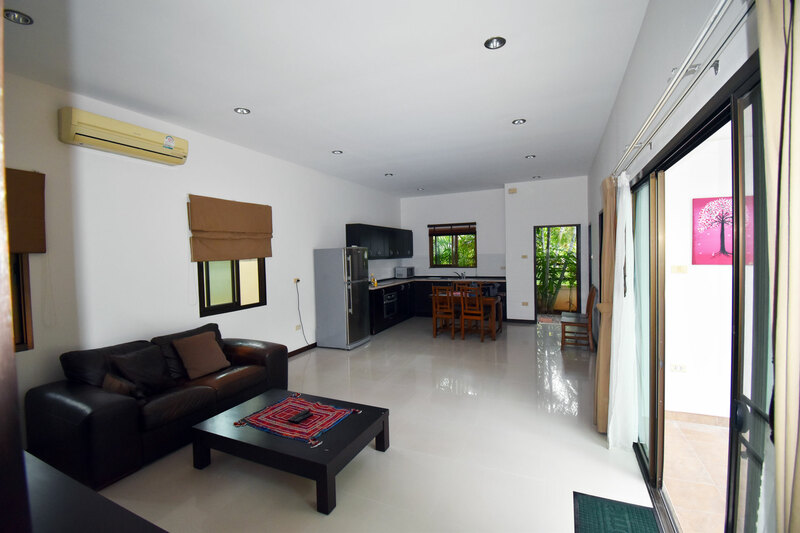 The owners will consider renting the home to prospective buyers if you are visiting the area and interested in this beautiful Hua Hin pool villa. 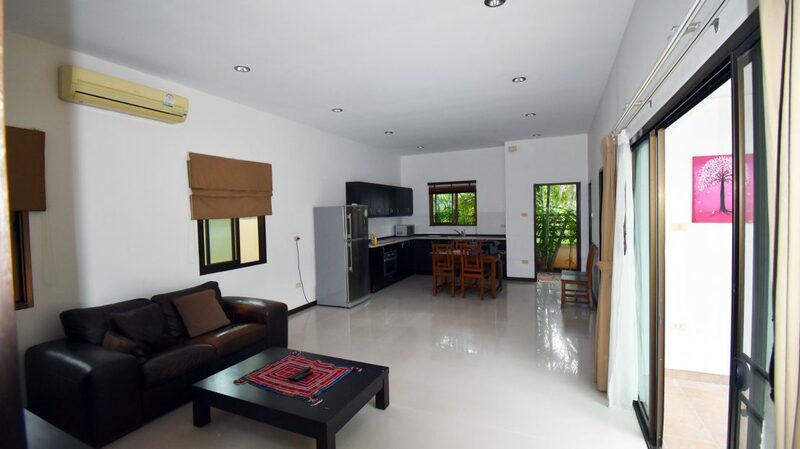 Use the contact form to make an appointment with the owners to view this lovely pool villa at the Heights 2 development. 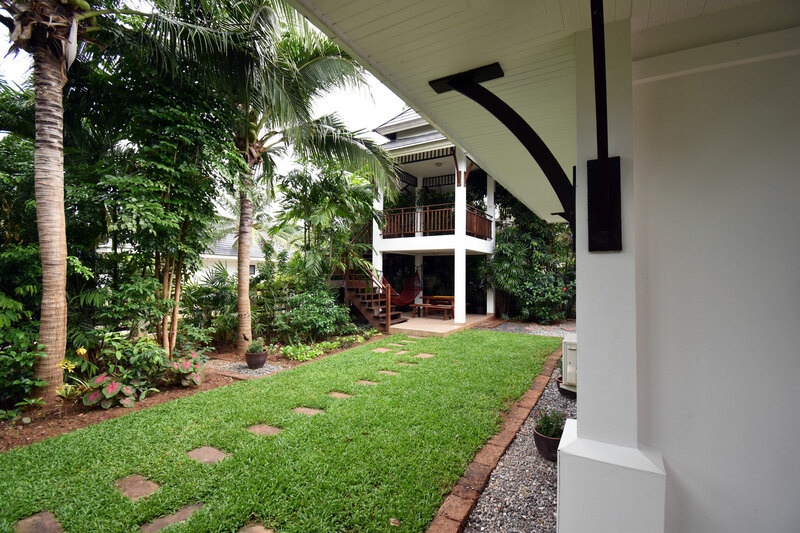 The owners speak English, Thai, and French.